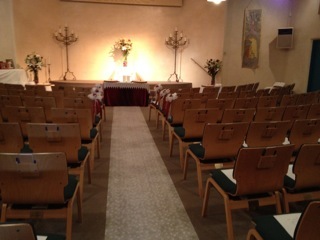 Unity Santa Fe is a hidden gem of a sacred space located about 10 minutes from the Plaza in downtown Santa Fe. Located right off 599, we offer several choices of rental space for a variety of occasions. Comfortable chairs and tables are available along with public restrooms, separate entry and ample parking. The Sanctuary may be rented by the hour or by the day. This is a great space for weddings, workshops, lectures, classes, musical performances and spiritual practices. Audio visual equipment is available upon request for an additional fee. We also have three meeting rooms which can be rented individually or combined for group get-togethers, monthly business meetings, community celebrations and meals, birthday, anniversary and special occasions. Long term rentals are also available for those interested in establishing regular meetings, workshops, spiritual practices or classes are also available. 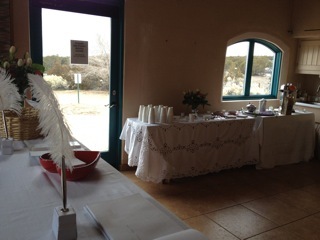 Please contact us at 505-989-4433 or by email Heidi communications@unitysantafe.org for further information on booking your special event in The Sanctuary or one, two or three of our three classrooms. We also have several wonderful outdoor sacred spaces: a meditation garden, a double labyrinth, a Medicine Wheel and a teepee. Please inquire if you have an interest in these facilities as well.